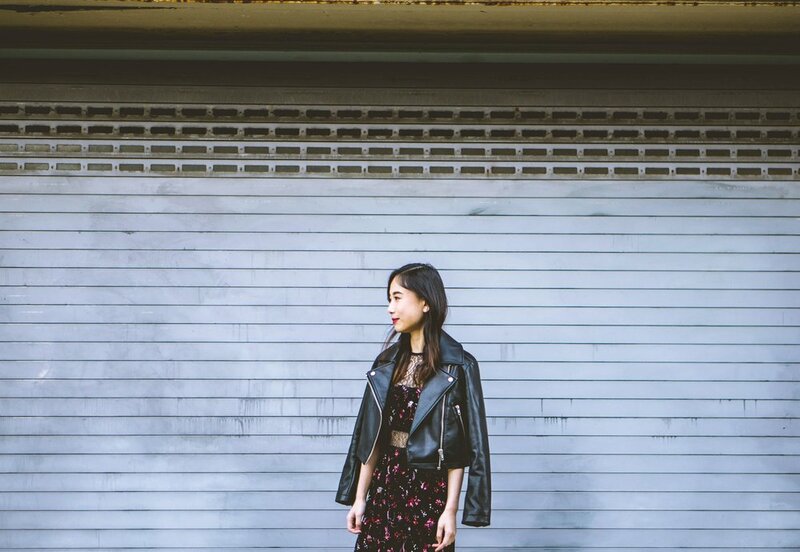 With the weather in San Francisco settling back into the "habitable" range, I was finally able to ditch my long coats and sweaters for a midi dress and a leather jacket. The dress and jacket are from Topshop's and ASOS's Petite lines, respectively, and worked wonders for my 5'3'' frame. 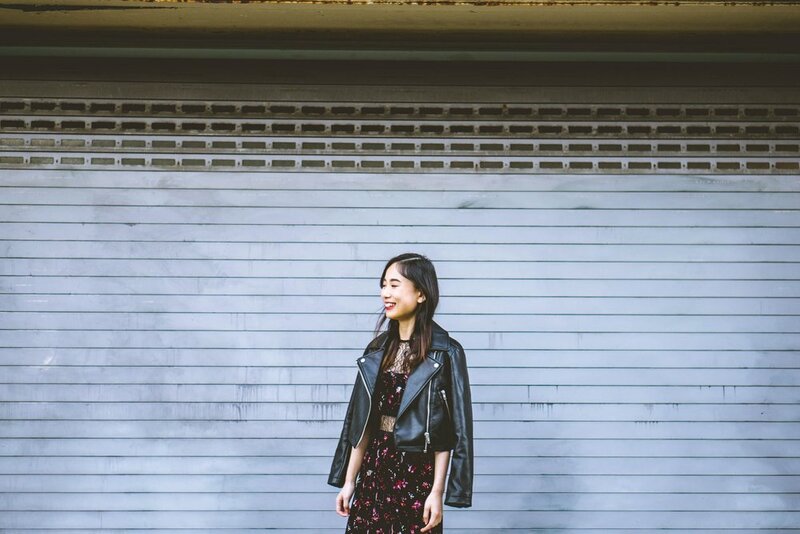 When it comes to styling midi/maxi dresses and leather jackets for shorter girls, it can be a little tricky when dress's long length and the jacket's wide shoulders easily overwhelm a petite frame. What I love about this dress in particular is that it's not your standard midi made with the same material from head to toe. I'm in love with the cutouts embellished with lace that allow me to show a little tummy and leg without being too revealing. In fact, I think this is a great piece to wear to a holiday party and would be unique enough to stand out amongst everyone else's. A huge shout out to British brands like Topshop and ASOS for making clothes for girls lacking in the height department. 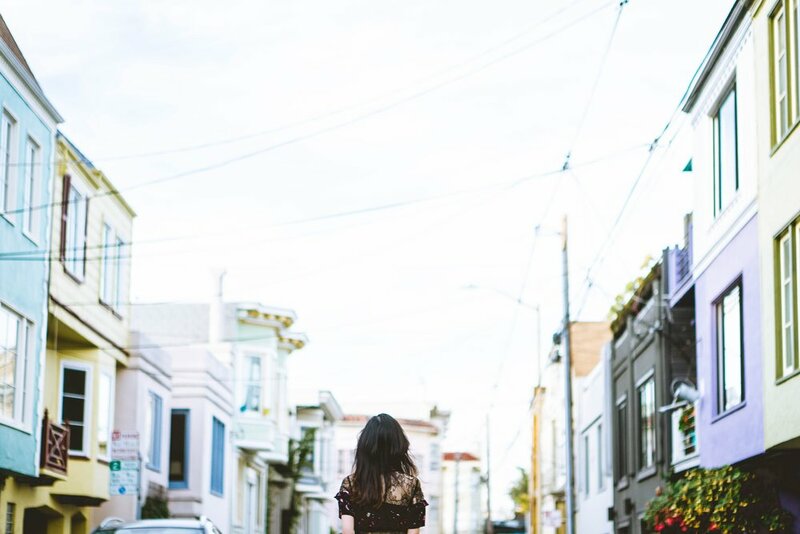 Location: Evelyn and I chose an alleyway in the Mission filled with pretty pastel-colored houses for the photoshoot. Away from the chaos that is Valencia street, this alley provided a residential vibe but still gave us the victorian "San Francisco" city style we were looking for. We were amazed at how gentrified the Mission District had become, and how it is slowly becoming similar to Hayes Valley (with its overpriced clothing and snacks). We didn't have much to complain about though, after we got our Boba Guys.